As we observed in earlier chapters, the observations from the Seven Countries and Framingham studies, and other smaller studies, pointed to the diet and the resulting blood cholesterol as being important in the development of CHD. 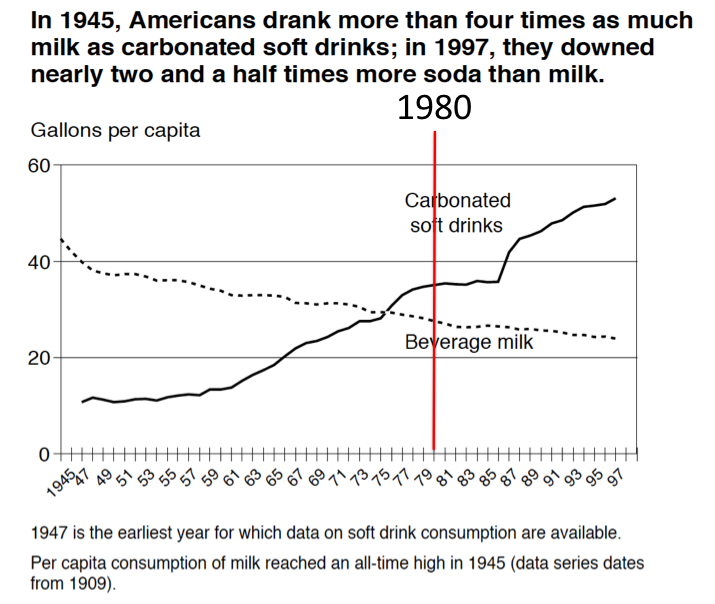 But it is also apparent that the very high rates of CHD observed in the 1950s were due to multiple other factors, including high blood pressure, the smoking of very efficient cigarettes, low exercise, weight gain in middle age, high stress levels, and the consumption of toxic trans fatty acids in margarine. 1. Increase carbohydrate intake to 55 to 60 percent of calories; 2. 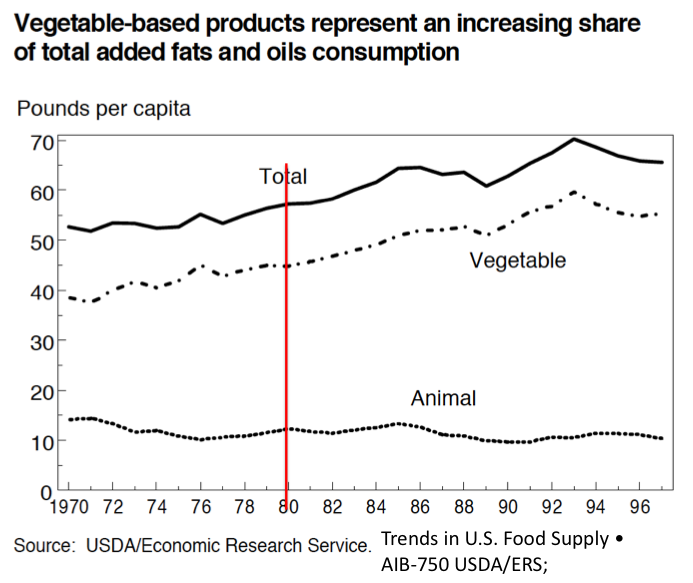 Decrease dietary fat intake to no more than 30 percent of calories, with a reduction in intake of saturated fat, and recommended approximately equivalent distributions among saturated, polyunsaturated, and monounsaturated fats to meet the 30 percent target; 3. Decrease cholesterol intake to 300 mg per day; 4. 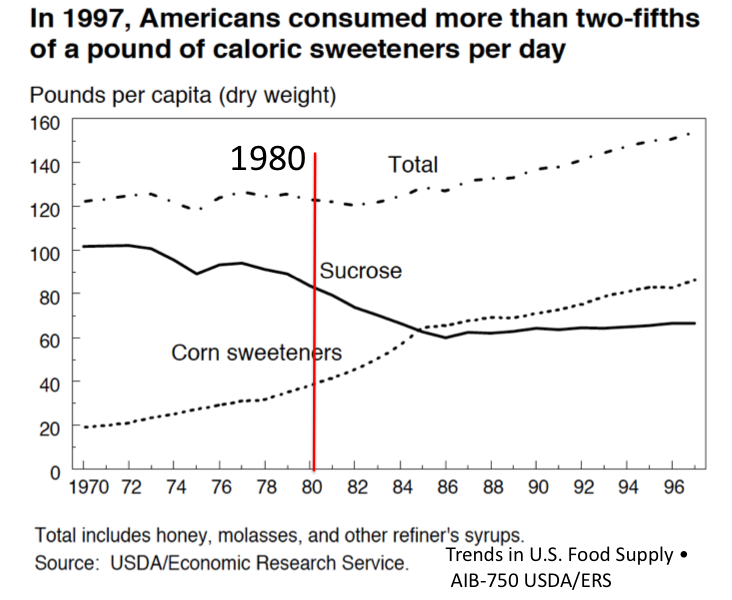 Decrease sugar intake to 15 percent of calories; 5. Decrease salt intake to 3 grams per day. 1. Eat a variety of foods; 2. Maintain desirable weight; 3. Avoid too much fat, saturated fat and cholesterol; 4. Eat foods with adequate starch and fiber; 5. Avoid too much sugar; 6. Avoid too much salt; 7. If you drink alcohol, do so in moderation. 1. Total fat should make up 30% or less of total kcal; 2. Saturated fat should make up less than 10% of total kcal intake (Implied: If fat contributes only 30 % of kcal, and protein contributes about 15-20% of kcal, carbohydrates will contribute about 50-55% of kcal to the diet). In short, the major trend suggested by these recommendations were to decrease fat intake from about 40% of total kcal to 30% or lower, and the natural compensation for this would be increase carbohydrate intake from about 40% of total kcal to 50% or higher. We should remember that the experts who participated in these recommendations were reacting to the known information at that time on the effects of diet on blood cholesterol and its effects on CHD. These experts did not have all the information concerning LDL and HDL, or about other risk factors that were have been studied since then. 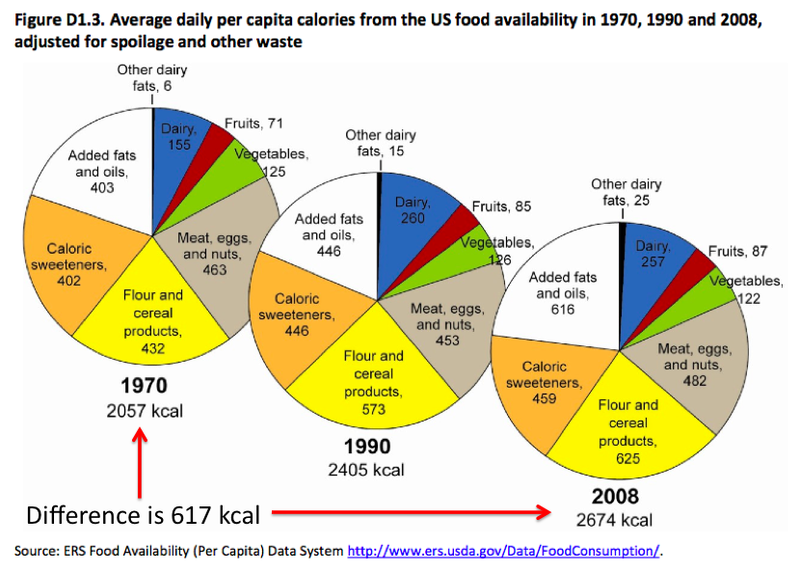 Although the Dietary Guidelines may have contained premature recommendations, the review by Leonard (2014) makes the convincing argument that humans have consumed diverse diets throughout evolution and should be able to adapt to such relatively small to moderate changes in the contributions of macronutrients to the diet. 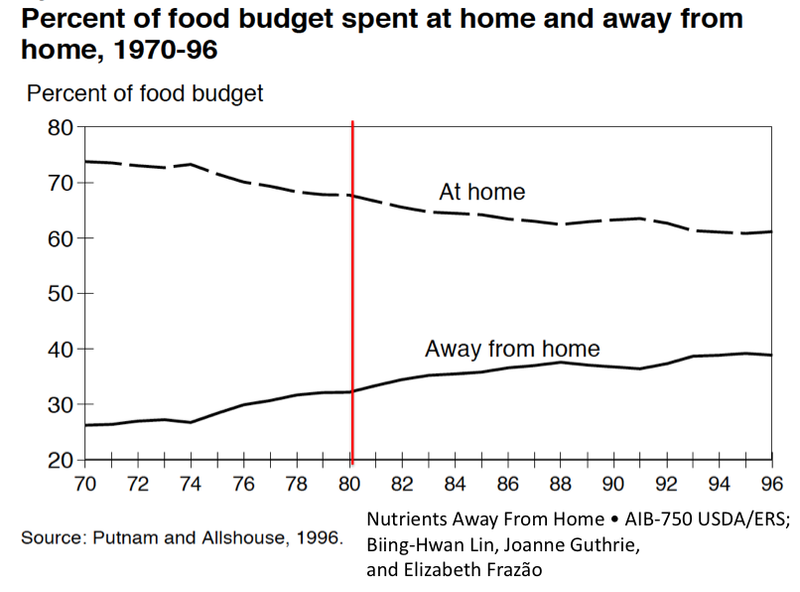 However, these basic recommendations have been labeled, by some authors, as the primary reason for the obesity epidemic that started about 1970. 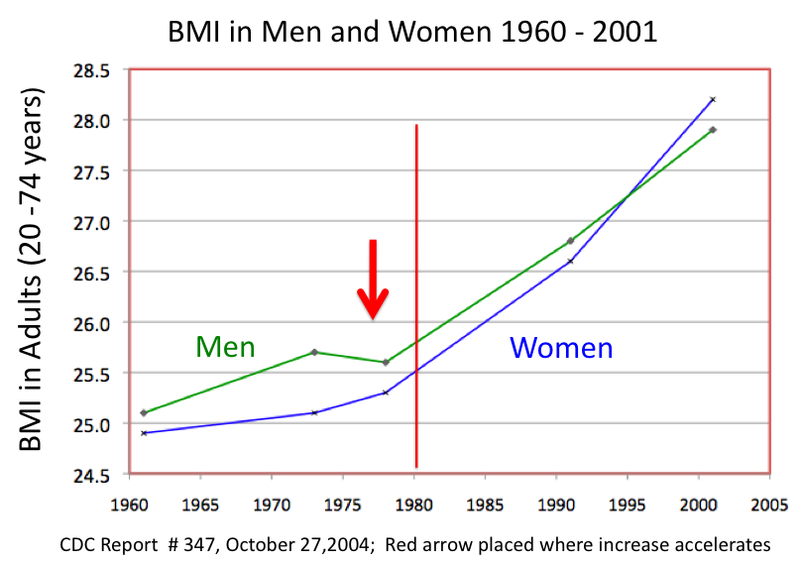 Actually, life was changing in many different ways and looking at all the different changes that occurred in the past 40 years will provide evidence that the obesity epidemic was the result of many changes in the multifaceted aspects of modern day life. 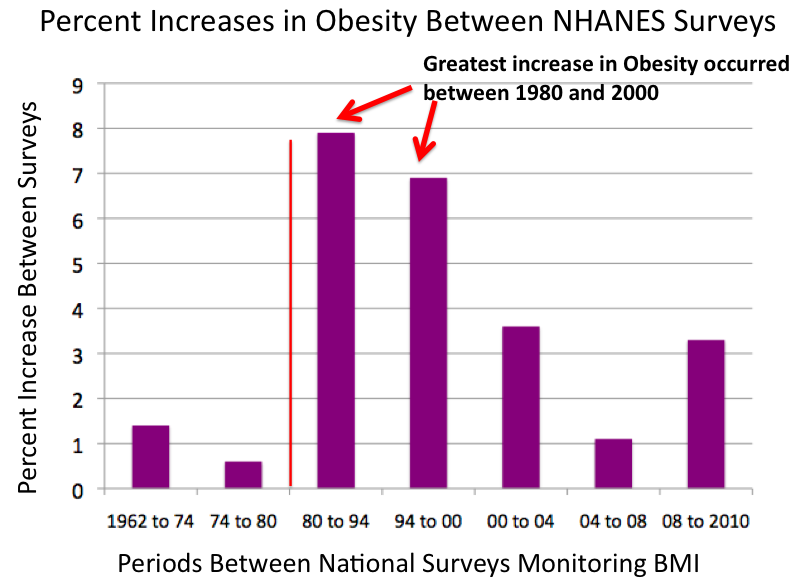 First, let’s look at the changes in the obesity rates in the United States over this period of time. 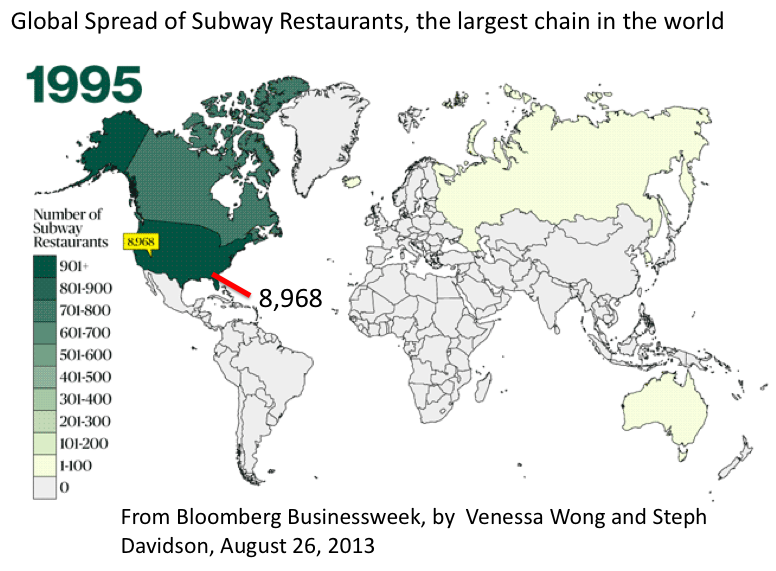 What other changes were taking place in the US in the period after 1970? 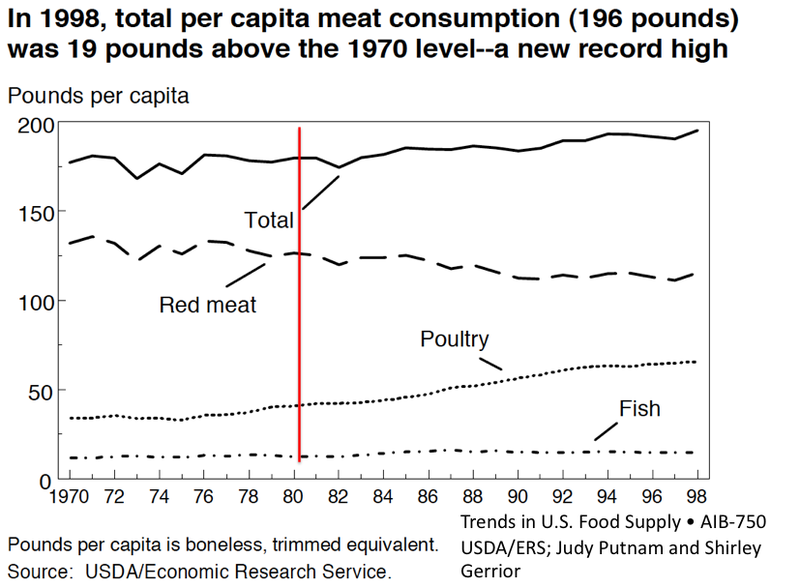 What changes in food consumption occurred during the period 1970 to approximately 2008? 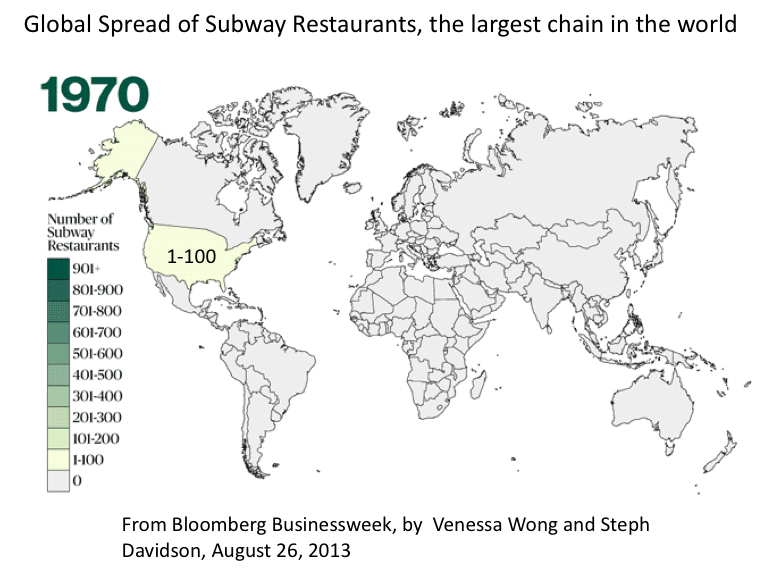 Blaming the Dietary Goals for the Obesity Epidemic is ridiculous. Total kcal intake increased and both fat and carbohydrate intake increased too over this period of time. The blame game when it comes to macronutrients in the diet has been used by hundreds of so called nutrition experts who use it to write books that are purchased by unsuspecting consumers. Unfortunately, this blame game is nothing but a giant red herring. 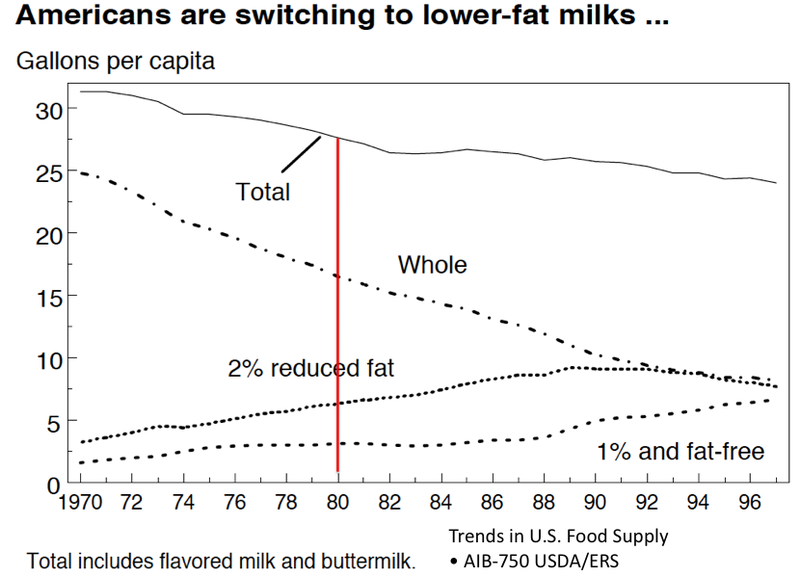 Additionally, it is absolutely clear that segments of the food industry totally paid lip service to the Dietary Guidelines. 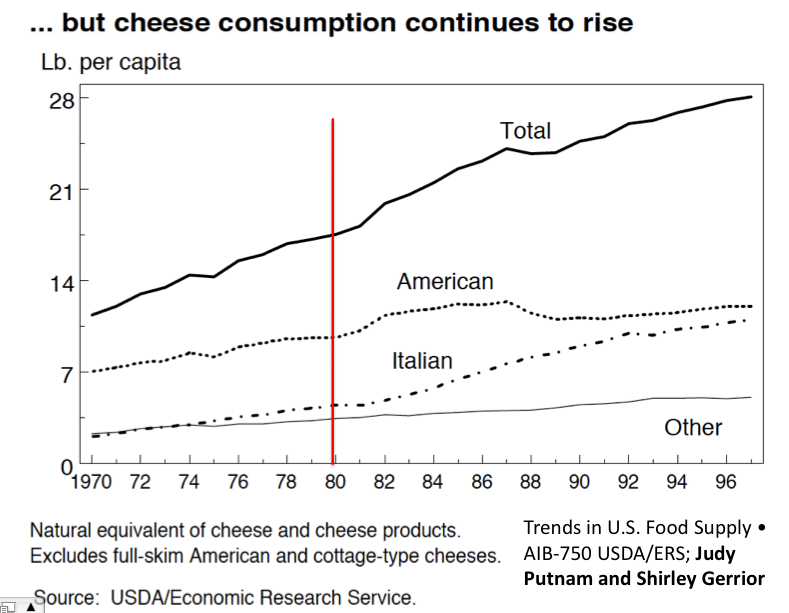 As so magnificently described by journalist Michael Moss, food companies were learning slowly but surely how to produce food products that hit the “bliss point,” making processed foods difficult not to consume in excess amounts. 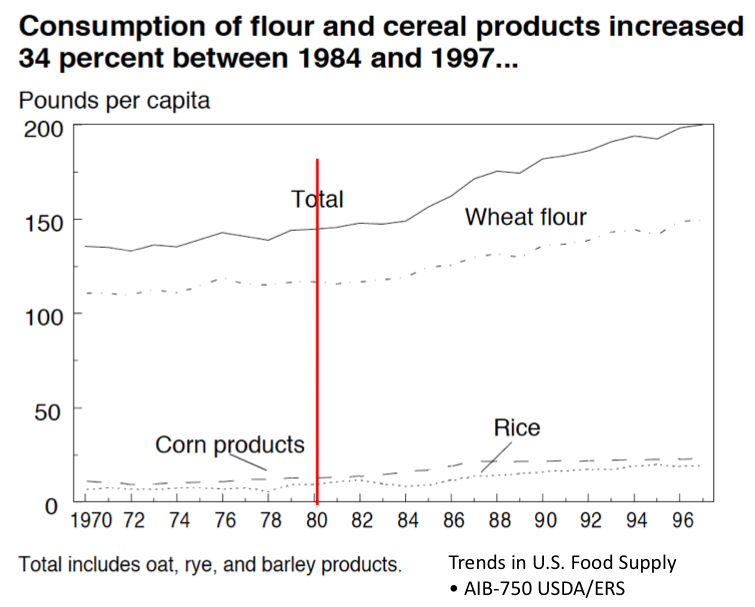 Furthermore, the agricultural revolution in the US led to increased availability of kcal in the US, and myriad companies produced more and more tasty products for the American consumer to buy. 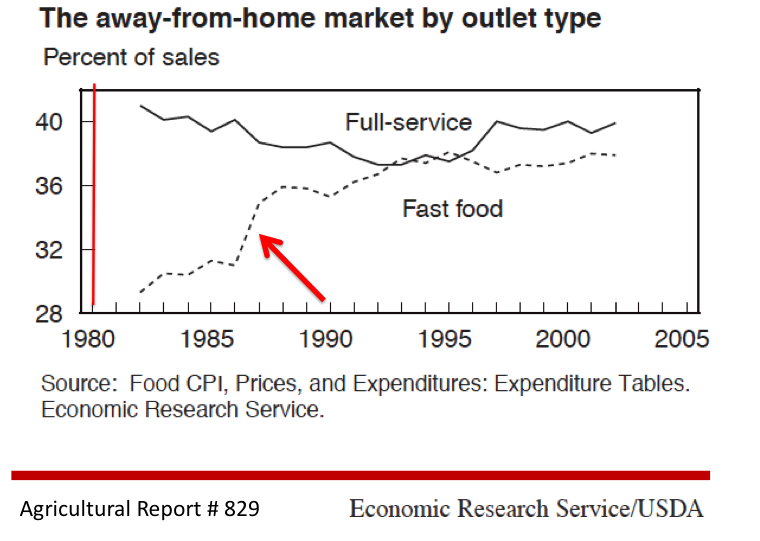 Additionally, the fast food industry increased greatly during this period, such that food was available on every corner and at every highway exit, leading to the fact that more and more food was consumed outside the home. 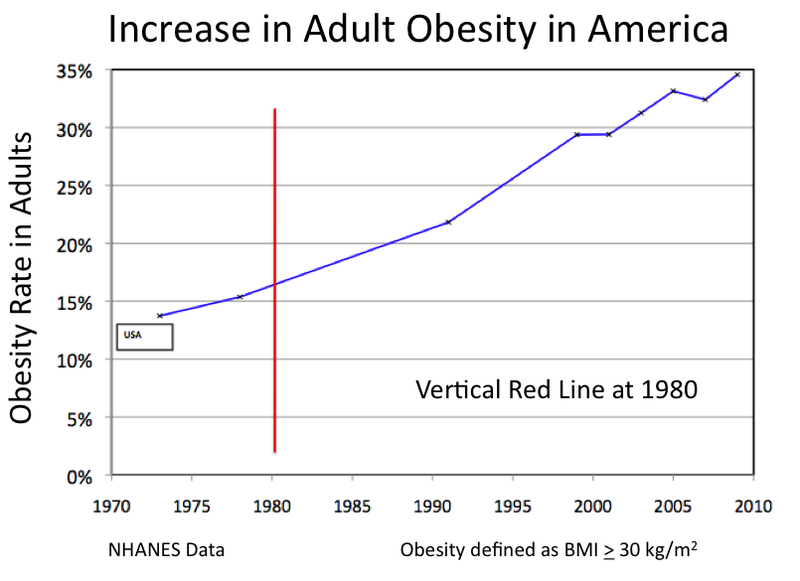 In the next chapter, we look at another great change that occurred in society after the 1970s to influence weight gain in the US.